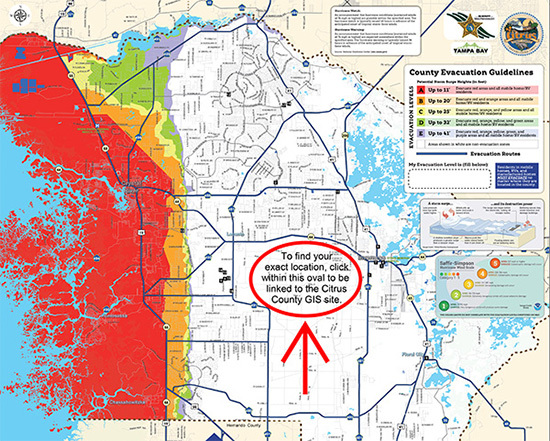 Citrus County emergency management officials remind you to have an evacuation plan in place before a crisis occurs. If you must evacuate, you are asked to look first at relocating with family, friends or a trusted organization located outside the disaster area. Moving into a public shelter should be your last option. Public schools open as shelters when citizens are issued a voluntary or mandatory evacuation notice. NOT ALL SHELTERS MAY OPEN. You should listen to the news or call the Emergency Management Section at 746-6555 to find out which shelters are open and available to the public.